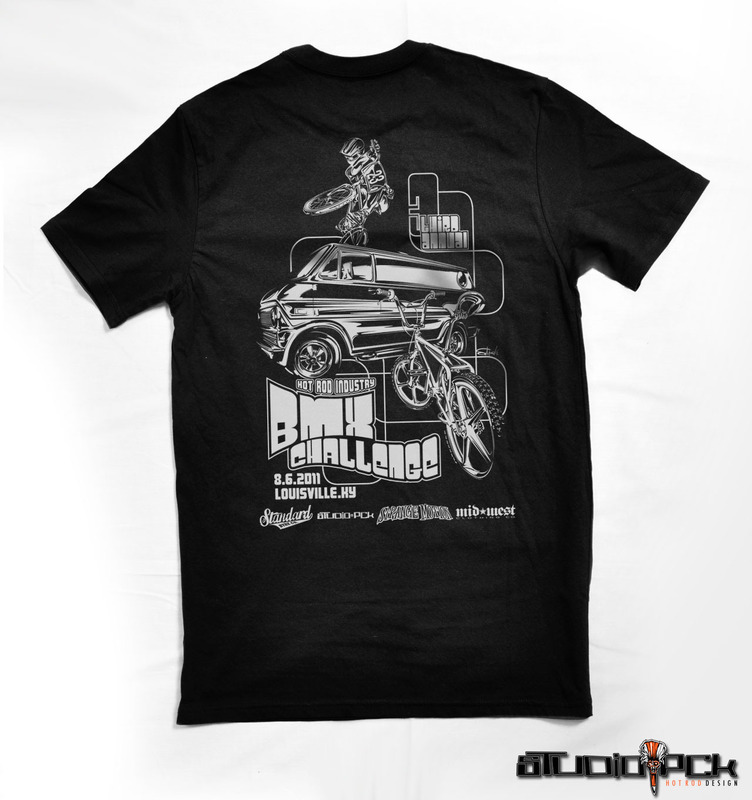 T-shirt and poster design for annual BMX race held to bring together hot rod industry personalities for a night of fun. 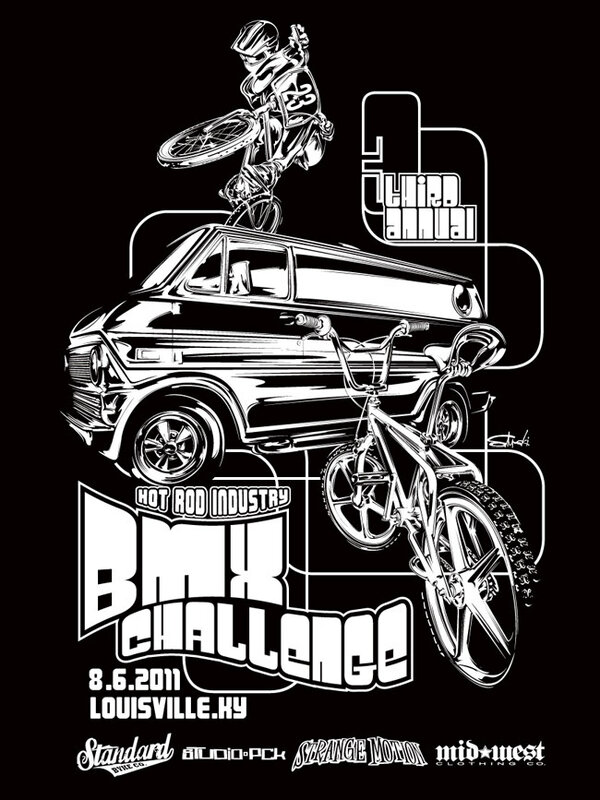 Each year, I am honored with the task of drawing the t-shirt and promotional artwork for the Hot Rod Industry BMX Challenge, a bicycle motocross race held to bring together the top builders and manufacturers in the hot rodding world. 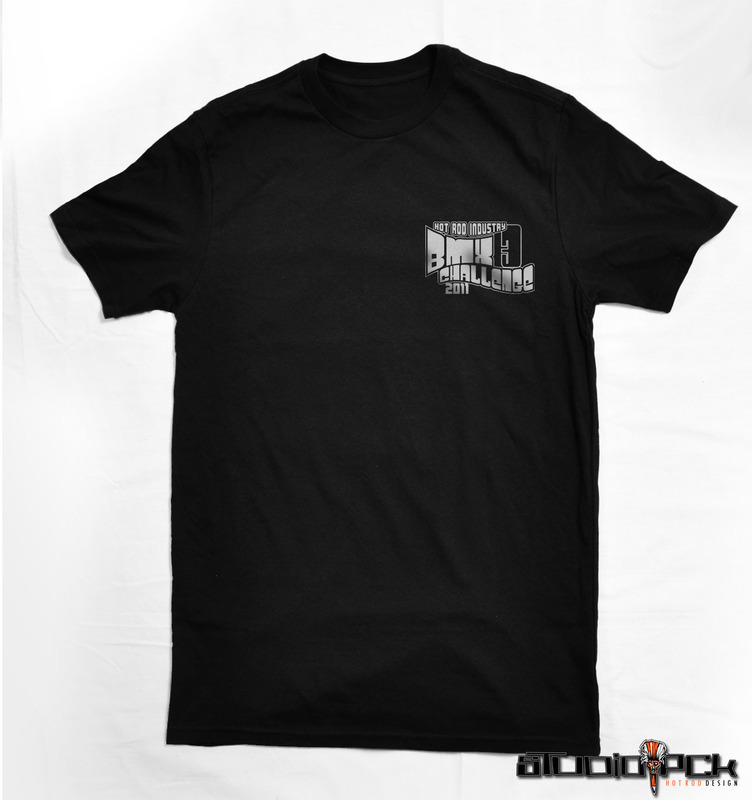 What's most interesting is that we all started our interest in cars with bicycles, and BMX racing is still an activity that many of us not only enjoy, but either participate in directly, or through our children. After creating a street rod version the first year, and a drag racing version the second, I wanted to go a bit groovier with a van-themed and '70's-inspired poster feel. Enter a cool van, the annual big-air artwork, and a classic freestyle bike to round it all out. The endless line artwork in the background is a tip of the hat to the custom painters in our industry, and I hoped to put enough detail in to make it all fun. Illustrator line work, all starting from multiple pencil sketches.